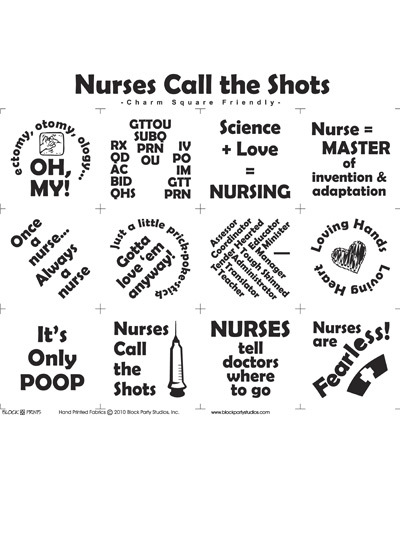 Words & Inspiration Fabric - Nurses Call the Shots! 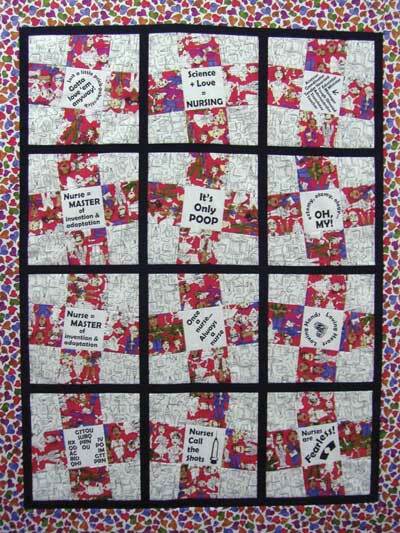 Panels - 18" x 21"
Know of a college student who is studying Nursing? These make superb gift ideas for finals week and huge exam times. Nurses Call the Shots Panels are great to compliment with neutral colors. There are comical phrases such as "Nurses tell doctors where to go". Panels available in white and natural with black print. Each full panel size is 18" x 21". 100% cotton from Block Party Studios. Loved this panel. I put it together with the nifty nurses panel & fat quarters to make a lap quilt for my daughter-in-law who just qualified as a RN. She loves it!